After you have installed the TeamWox groupware system, it is available for local use. 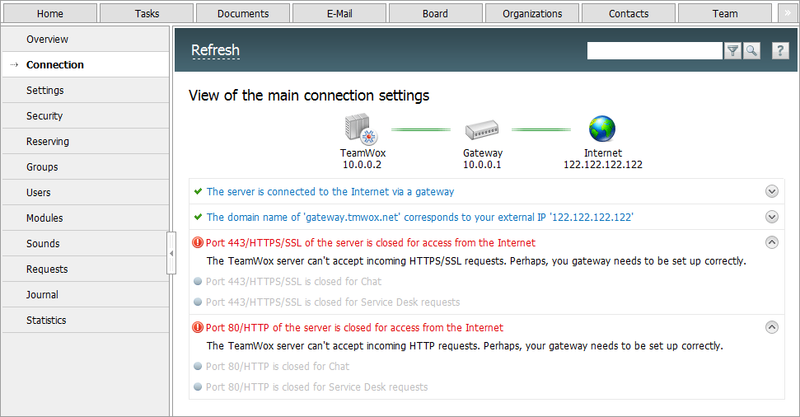 To access TeamWox groupware system from the internet you will need to allocate a public static IP address. This is the permanent real IP address which is allocated by your internet provider. 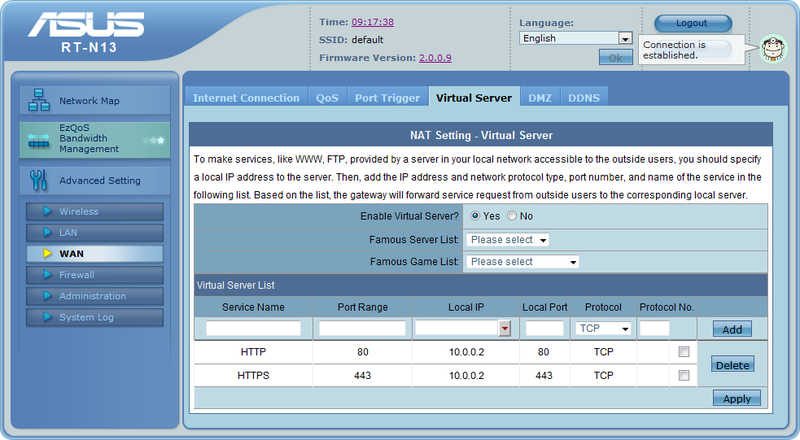 If such a public static IP address is available, your server will be accessible from any computer or mobile devices connected to the internet without any additional configuration. If your company doesn't have its own public IP address, and your are planning remote working with TeamWox collaboration software from the internet, you'll have to contact your internet provider requesting a public static IP address. However, if a gateway (e.g. 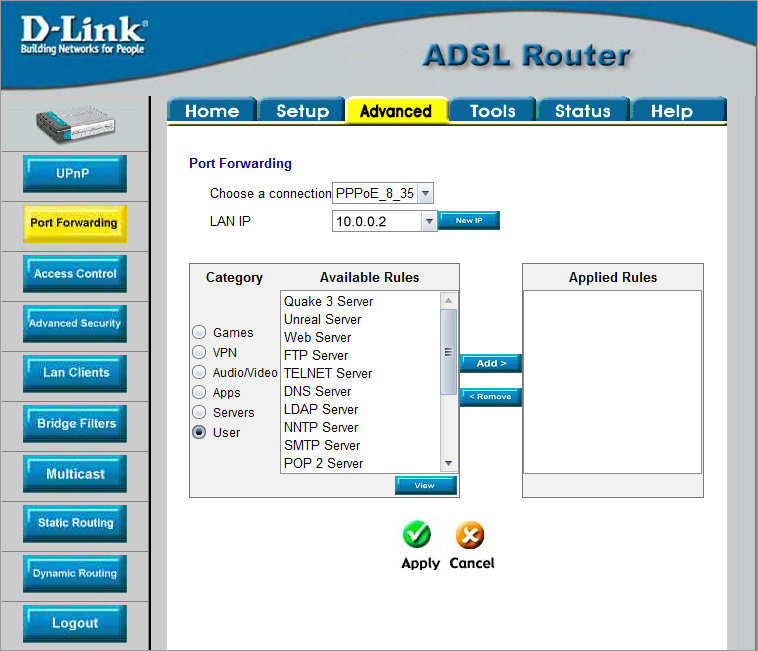 ADSL modem) is used to connect to the Internet, it will need additionally set up. 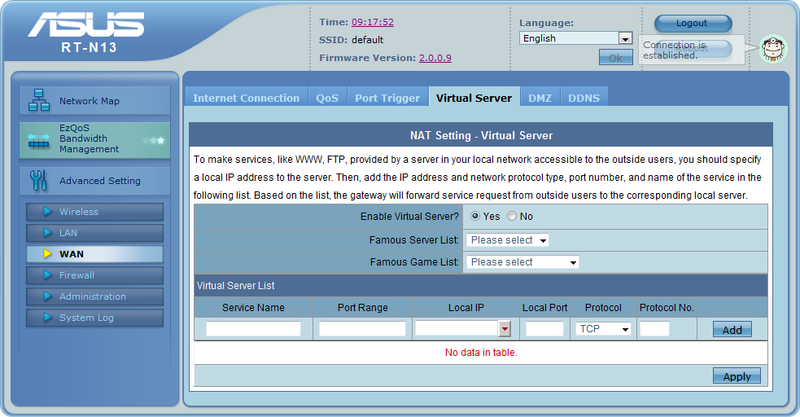 In this case, to provide the operation of TeamWox you should set up Port Forwarding. In this article we'll consider a few most popular gateways and give instructions on their setup. If requests from the Internet aren't passed to the TeamWox server, details about the corresponding errors will be shown on this page (e.g. closed ports 80 and 443). If there are no such errors, TeamWox can successfully accept incoming requests from the Internet, and you don't need to read this article. in a local corporate network behind firewall (Internet access point) with an allocated internal IP address like 192.168.х.х. Not all hosting providers provide direct access to their DNS servers. So, probably you will need to contact the support team of your provider requesting to add the corresponding record on their DNS server. 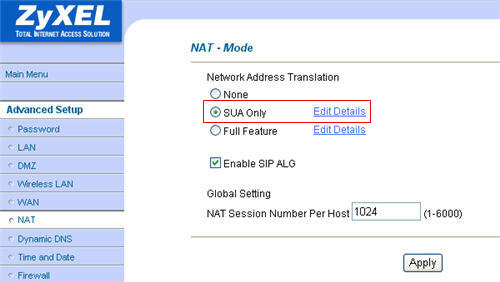 If there is no proper DNS server in your corporate network, you will need to perform the actions described above, i.e. you'll need to add a special DNS entry in the DNS server of your internet provider. If there is a DNS server in your company, the corresponding entry should be added to it. 2) On the firewall add mapping or redirection of external requests of the domain name team.yourcompany.com to the real internal local IP address of the computer where the TeamWox server is installed (192.168.0.138). In other words, when you enter the url address of your TeamWox server (https://team.yourcompany.com) in the address line of your web browser from a remote (home) computer, first you access the DNS server of your provide, which returns the IP address (205.134.70.31), at which connection with the TeamWox server is performed. That is, for the internet, your TeamWox server with the domain name team.yourcompany.com is located at the public static IP address of your corporate network (205.134.70.31), but global DNS servers don't know that actually the server is located in the local network and has its own internal IP address (192.168.0.138). Here 192.168.0.138:443 is the address of the server where TeamWox Groupware is installed. 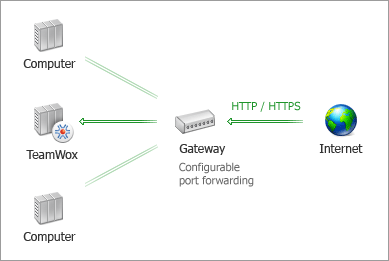 In order to redirect incoming HTTP/HTTPS requests to the TeamWox server, the gateway should provide configurable port forwarding. If this option is not supported, TeamWox connected to the access point will not be able to accept incoming requests from the Internet. Attention! Most of old versions of ADSL modems do not provide configurable port forwarding. 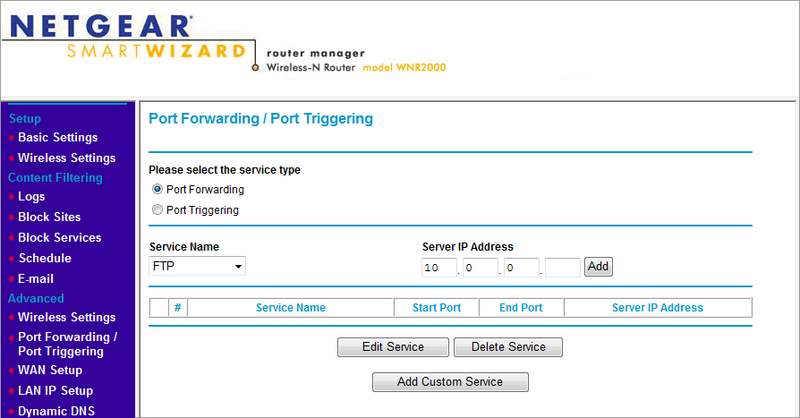 The most popular type of port forwarding supported by all routers is a static one. 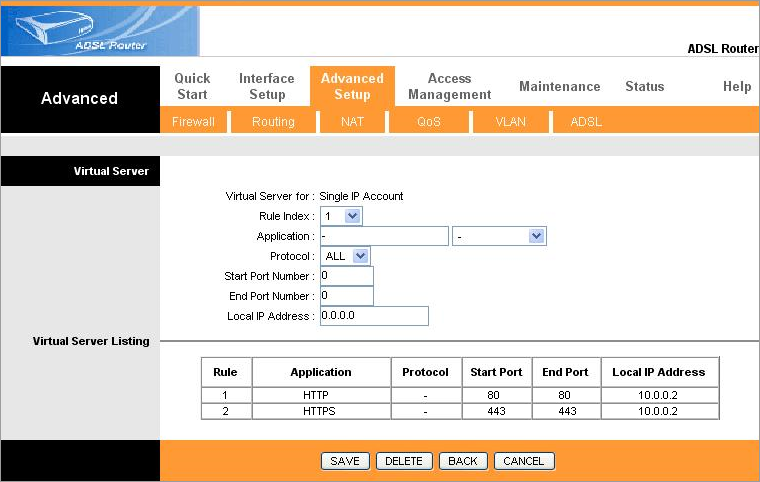 To set it up, specify source ports, address in the internal network, and destination ports on the router. To do this, you need to know the internal IP address of the computer where the TeamWox server is installed. 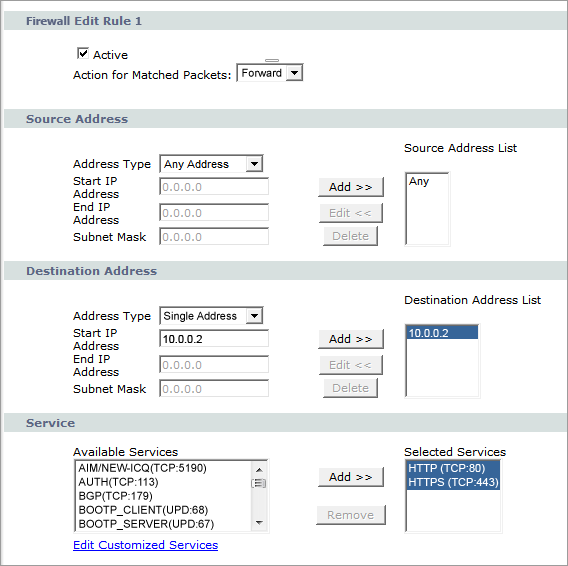 If a DHCP server that allocates IP addresses is installed in your local network, a permanent IP address should be assigned to the computer where the TeamWox server is installed. 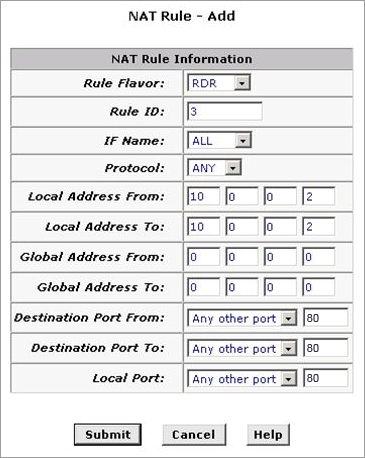 Otherwise, port forwarding won't work if the computer IP address changes. Let's consider some devices used as gateways and supporting routing with port forwarding setup. For each of the devices parameters can be set up through a web interface. All you need to do is open any web browser and enter the IP address of the setting page in the address bar. After these rules have been added and applied, TeamWox can be accessed from the external Internet network. Save the setting via Tools -> System Commands -> Save All. This instruction can be used for setting up the following ADSL modems: Acorp LAN120, 420, 422 и Asus-AAM6010EV (first version). 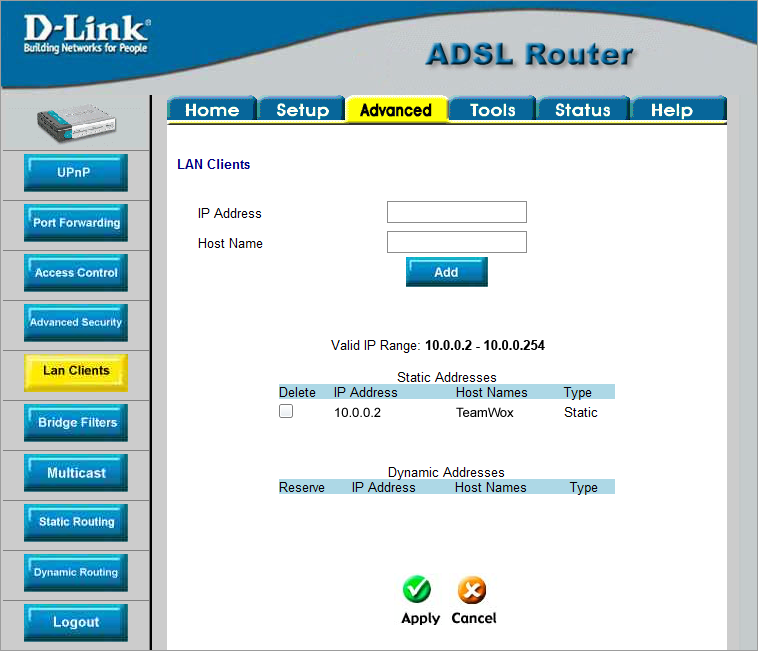 For more advanced devices of D-Link setup is the same, except for the following: Advanced -> Virtual Server is used instead of Advanced -> Port Forwarding. This instruction can be used for setting up ADSL modems of HUAWEI. 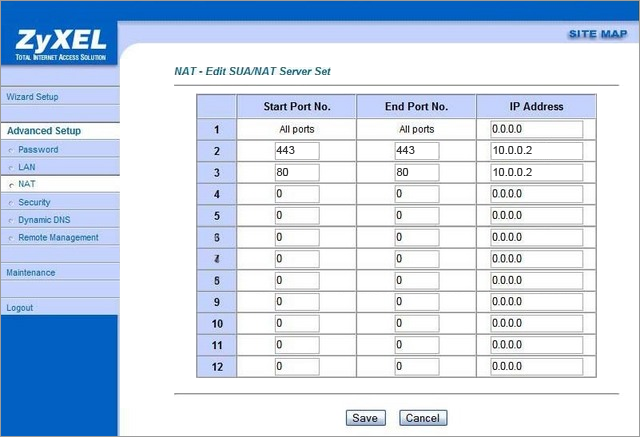 Menus of older versions of HUAWEI used for adding NAT rules: Other Setting -> NAT (for HUAWEI SmartAX MT800), Basic -> NAT -> Redirect (for HUAWEI SmartAX MT880) and Other Setting -> NAT-> Port Mapping Set (for HUAWEI SmartAX MT880 v2). These routers can be used as gateways for connecting to the Internet from the local dedicated network where the TeamWox server is installed. 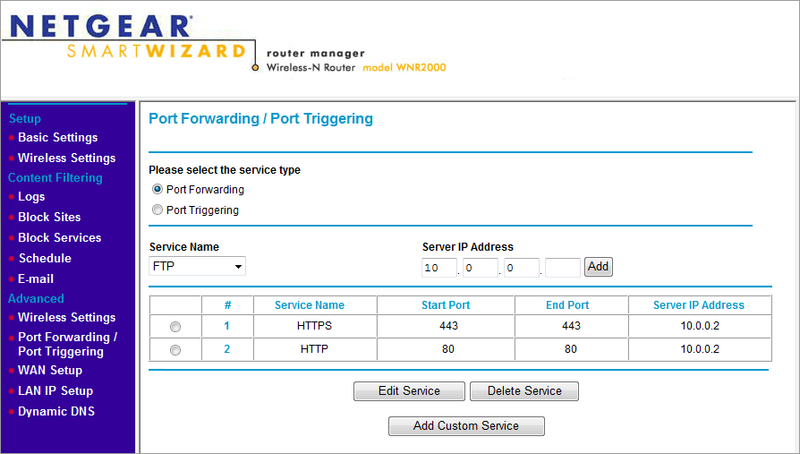 If for some reasons the above settings cannot be applied to your router , visit http://www.portforward.com to find instructions on its setup.